We are happy to welcome Rusty Gordon back as our teacher this Sunday. His lessons are interestingly titled and thought provokingly taught. The title of his lesson is: “It is all about the AND.” He will be using several scripture references – John 4:23-24, John 14:6, Romans 12:1-2, and Micah 6:6-8. We are thankful for our CUC refreshments each week. 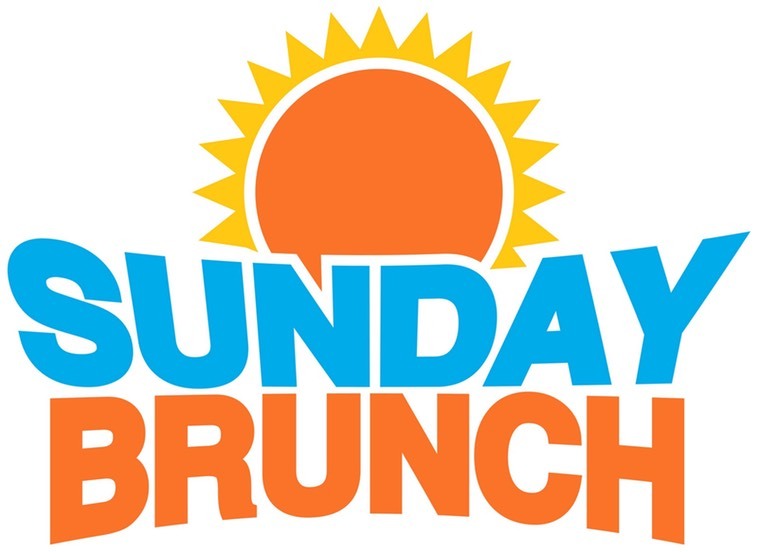 This Sunday they will be provided by Sister & Gannett Backus and Lesleigh & Jeff Coelho. This is a wonderful opportunity to get to know your CUC classmates at a more intimate gathering. The host provides the main course and wine if desired. Each guest will bring a portion of the meal. The committee has matched up guests and hosts, and guests will be contacted shortly if not already. Nearly 100 people have signed up to participate. Dinners will be held throughout the spring (April, May, June) as each group selects a date convenient to all. Questions? Comments? Contact Kris Taylor – or Mary Serafina). The Chick-fil-A tour is this coming Tuesday, April 16th. We will meet at the church at noon and board the buses and leave at 12:15. Google says it will take us 59 minutes, which will leave time to get there, park, and be ready for the tour which is SOLD OUT. Tour is 1:30 – 3:30.
eggs, bacon, sausage, hash browns, biscuits, and fresh fruit; orange juice, coffee, and iced tea. You have the opportunity to play a role in hospitality management at RUMC…….. GOLF CART DRIVERS are needed to drive 30 minute shifts on Sunday morning. The times are 9:00 to 9:30, 10:00 to 10:30 and 12:00 to 12:15……..
We are looking for drivers with “Big Smiles” to drive four (4) shifts over a one month period. Routes will be defined and the opportunity to serve others will be unlimited. Jim Boswell will be at CUC this Sunday to take your names and answer your questions. Thanks! Thank you to the CUC members who have donated generously to support the Homestretch Church Challenge and have volunteered to help at the “Run the River” this Saturday, April 6. Those who have pledged your financial support, please turn in your checks with the amount you have pledged on the clipboard which will be passed this Sunday. Make checks payable to RUMC with Homestretch Road Race on the memo line. Responding to a request from Children’s ministry, CUC will be contributing a basket which was put together by Jeannie Ehlers and Sara Beecham for the Easter Egg Hunt. This week the Outreach Choir, part of the Sanctuary Choir, will entertain us with a few of the songs that they perform during the year with their visits to assisted living residences. Mary Serafina is coordinating the bake sale (which was highly profitable last year) at the Garage Sale. Please sign up to contribute your own favorite baked goods. There is one body and one Spirit –just as you were called to one hope when you were called–one Lord, one faith, one baptism; one God and Father of all, who is over all and through all and in all. Part 1 Introduction — Who Am I and How Did I Get Here? 91 members, 6 visitors, 1 teacher. A big thank you to our class for the steady contributions of Apples for Must Ministries each week! Keep up the good work! Continuing every Sunday through the months of June and July please bring bags of apples as you are able and they will be placed with the lunch crews for distribution with the bag lunches. Our CUC class has made more than 4,000 lunches in the past 2 years and we plan to make still more. The next CUC lunch-making day is next Tuesday, July 17 at 9:00. Drivers and riders are still needed for delivering the MUST lunches. If you are interested in helping with this, contact Sandy Griffin. Drop Off Sundays for the RUMC Job Networking Garage Sale began last Sunday, July 8. You may drop off items for Garage Sale with people waiting at the “Scout Hut” starting at 8:30 am and again between and after services. Volunteers will be able to help you unload your car. Drop off Sundays continue all Sundays in July. However, if possible, wait and donate on July 30. We are not taking men’s clothes or shoes this year. We only want women’s clothes on HANGERS. Start planning to volunteer at almost any time during the week of the huge Garage Sale Extravaganza August 2- 4th. CUC always has a large group of volunteers working that whole week. Consider donating homemade baked goods and/or purchasing baked goods at the Job Networking fundraising Bake Sale. Drop off baked goods on Thursday, 8/2, 12:00-2:00 at the south side of Chapel Building just before the portico. Please identify baked item and include your name. Someone will be at curbside to receive your baked goods. The Bake Sale is Friday, August 3, 8:00am-6:00pm Bldg B Room 123-125.Questions? Contact Claudia Phelps. Last chance to see it! The “Celebration” Exhibit in the Charis Gallery outside the Sanctuary runs through July 16th. Jan Buckley has received the People’s Choice Award for her painting “Grandma Bathing Muffy”. Patricia Mashburn also has paintings in the exhibit. Don’t forget to get your tickets for RUMC’s drama ministry’s production of “Annie”, July 26 – 27 – [28 matinee 1, matinee 2] – 29. We are hearing it will be a great show! For information and tickets, rumcactingup@gmail.com or rumc.com/actingup . Box Tops should be clipped when you see them on boxes, cans, bags you have brought home from stores. You can find a current list of products that feature Box Tops for Education by searching for Box Tops for Education on your computers. Quite a variety of brands helps schools this way. Many schools collect them. All these items contributed from our class are mailed to Red Bird Missionary Conference in Kentucky to help the Christian school there. Over the years these Box Tops sent from churches and individuals across the USA have made a positive difference in the school’s ability to provide “extras” such as hall lockers, prizes for perfect attendance, fuel for vans, field trips. These benefits are not part of the school’s budget. Red Bird Missionary Conference has an excellent computer site. Please refer to it for information about this Methodist center in rural Appalachia. Edna Smith – continuing her recovery from hernia surgery. UPDATE ON PASTOR ANDREW BRUNSON – June 25, 2018 President Trump made his boldest statement last weekend in defense of imprisoned Pastor Brunson assuring him that he is not forgotten, and we are working on his release. Also, the U.S. Senate is poised to approve legislation that would inflict a significant penalty on Turkey by denying their purchase of our F-35 jets should they not release Pastor Brunson. In addition, the European Parliamentarians are demanding Turkey release the innocent pastor. Meanwhile, Pastor Brunson is in prison awaiting the continuation of his trial this coming week on July 18. Shirley & PD May – July 19, 1958 …. 60 years! Love never fails. But where there prophecies, they will cease; where there are tongues, they will be stilled; where there is knowledge, it will pass away. For we know in part and we prophesy in part, but when perfection comes, the imperfect disappears. Our CUC speaker this Sunday is Bryan Elder, an active member of Chapel Roswell. His topic is “Freedom”. The CUC offering on Sunday amounted to $103. The love offerings collected during (and after) the potluck supper totaled $730. These funds will be distributed to the various charities/missions, as directed by the donors. It’s time to be thinking about class officers for 2018-19 with responsibilities beginning in August. Sara Beecham, current Vice President, will move into the president position and George Martin will be next year’s vice president. Roger Davis and Martha Jane Mason will be in charge of arranging speakers each Sunday, but many other jobs will likely be available. Current committees have all done a great job and keeping some experienced persons on their current assignments. However, it is equally important to get new people involved. A nominating committee is working on this in the next few weeks. Chairman and co-chairman for the next year’s CUC retreat are especially needed. Information on current class committees is available on the class web site (CUCX.WORDPRESS.COM). If you’re interested in serving on any committee or would like to change your current assignment, please let Tom Knight know ASAP. Tom’s goal is to have everything tied down by mid-July. Our CUC class has made more than 4,000 lunches in the past 2 years and we plan to make still more. The next CUC lunch-making day is Tuesday, July 17 at 9:00. We announced last week that Tom Davis and Jeff Ross will be sharing in leading the retreat. We are looking forward to having this special time with them. A room deposit of $150 is due by this Sunday, July 8, to hold a reservation for the retreat. Make checks payable to “CUC Class” and put “Retreat” on the memo line. Questions? Ask Roger Davis. DON’T MISS THIS GREAT RETREAT !!! 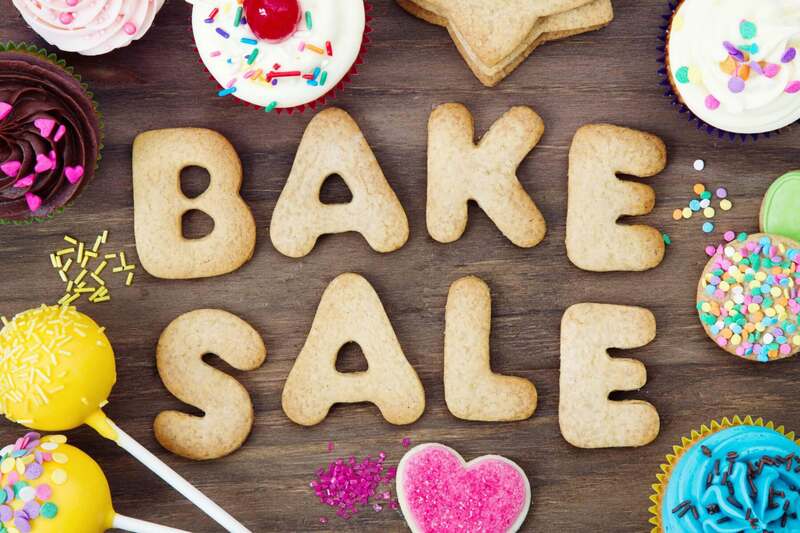 Consider donating homemade baked good and/or purchasing baked goods at the Job Networking fundraising Bake Sale, kicking off Garage Sale week, Sunday, July 29, at the Scout Hut. Drop-off is June 28th at noon. Questions? Contact Claudia Phelps. Also start planning to volunteer at almost any time during the following week for the huge Garage Sale Extravaganza August 2- 4th. CUC always has a large group of volunteers working that whole week. Children born in southeastern Kentucky, a poor Appalachian region, are fortunate if they have the opportunity for an education that gives them hope for a bright future. Red Bird Mission School, K-12, provides an experience of high quality for its students. 97% of high school graduates go on to college or further training. Education printed on various supermarket items and bring them to class. What is then mailed to Red Bird Mission is our small way of helping those needy young people. Jan Buckley has received the People’s Choice Award for her painting “Grandma Bathing Muffy” in the Celebration exhibit in the Charis Gallery outside the Sanctuary. The exhibit runs through July 16th. Don’t forget to get your tickets for RUMC’s drama ministry’s production of “Annie”, July 26-29. We are hearing it will be a great show! For information and tickets, rumcactingup@gmail.com or rumc.com/actingup. Lynn & Jim Adcock – as they settle into their new home at Huntcliff Summit. Also pray for Lynn for good results from her biopsy this Friday. Jim Boswell prayers are much appreciated as he recovers from a bout of GI bleeding, repeat heart catheterization, and hopefully returns home this Friday. Edna Smith – pray for a speedy recovery from hernia surgery. UPDATE ON PASTOR ANDREW BRUNSON – June 25, 2018 President Trump made his boldest statement last weekend in defense of imprisoned Pastor Brunson assuring him that he is not forgotten, and we are working on his release. Also, the U.S. Senate is poised to approve legislation that would inflict a significant penalty on Turkey by denying their purchase of our F-35 jets should they not release Pastor Brunson. In addition, the European Parliamentarians are demanding Turkey release the innocent pastor. Meanwhile, Pastor Brunson is in prison awaiting the continuation of his trial on July 18. Donna & Vince Grosse – July 11, 1965 – 53 years! Lenna & John Sharp – July 11, 1964 – 54 years! Betty & Larry Hunt – July 13 – 55 years !! Celebrating 162 years of Marriage this week! RUMC Job Networking will host a “Mini” Job Fair on Nov. 14. The Garage Sale is coming August 5-6. Setting up August 1-4. Only 3 weeks away! Do you have extra furniture, kitchen items, linens, lamps, etc.? Now is the time !! Time to clean out! Clean those closets and bring those clothing items that shrank last year, ON HANGERS. Bring things on Sundays in July to be placed in the trailer or when you come to volunteer . CUC always participates actively to support Job Networking. Let Sharon Schnackenberg know if you want to work in Linens; Gale Davis if you want to work in Clothing. Or plan to come and help in various other areas with other CUC’ers during that week. Volunteers will be needed every day. The Garage Sale is coming August 5-6. Setting up August 1-4. Only 4 weeks away!